‘Big Hill’ is the high hill behind Mount Beauty. You will get the most wonderful views of the Kiewa Valley and Mount Beauty. A great chance to take some spectacular photos. The picnic and rest stop near Dederang Gap on the Kiewa Valley highway provides scenic views up the Kiewa Valley to Mount Bogong, Mount Feathertop and the Bogong High Plains. Dairy and cattle farms provide the valley views while the forested ranges frame the valley on each side. 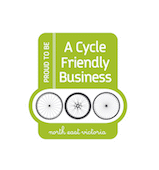 Situated on the Kiewa Valley highway between Tawonga and Mount Beauty. 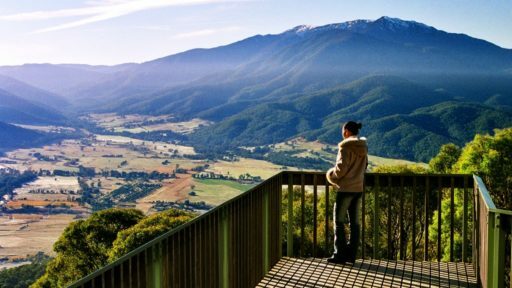 The Mount Bogong lookout has uninterrupted views up Mountain Creek, The Kiewa Valley and up to the summit of Mount Bogong. Located in the Kiewa Valley on the Bright-Tawonga Rd, Sullivans lookout has breathtaking views of Mt Bogong, Mt Beauty and its regulating pondage. It's an opportunity to take spectacular photos. This 5 km, 1.5hours return walk starts at the “Roper Lookout” sign at the eastern end of the Rocky Valley dam wall. Follow the aqueduct for 1.5 km before climbing a small gully among Snow Gums. Roper Lookout is a small basalt knoll with excellent views of Falls Creek Resort and the surrounding high country. Return along the same route. The best views over the Bogong High Plains and the Kiewa Valley. From Falls Creek Alpine Resort take the gravel Pretty Valley Road and drive the track to the summit of Mt McKay with its fire lookout and communication towers. From here you will also get a good view of the Rocky Valley and Pretty Valley storage facilities that commence the Kiewa Hydro Electric Scheme. The eastern side of Mount Feathertop is visible beyond the Yaithmathang Range, and Mount Bogong is prominent in the distance.